Are you looking for a yummy, low-carb breakfast recipe? 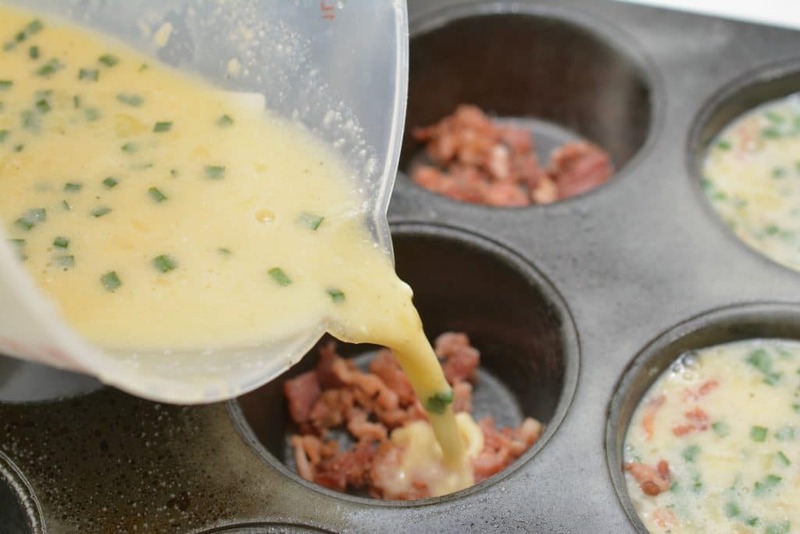 These cheesy bacon egg keto muffins are not only delicious, but they are great for eating breakfast on-the-go! Anything that has cheese and bacon must be good! The keto diet, which is short for ketogenic, is a low-carb diet which triggers the body to produce ketones, causing your body to burn fat. Although the keto diet has been around for a long time, it has become popular again in the last year or so. You can find out more about the keto diet at this link. 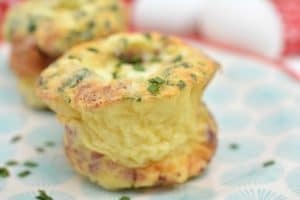 If you would like to prep these keto muffins ahead of time, you can store just the egg mixture in the refrigerator and add the rest the morning of cooking. 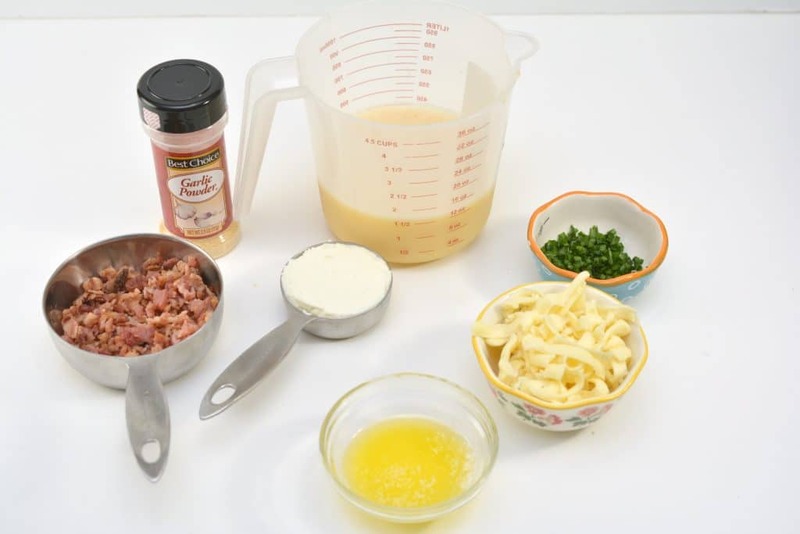 To begin making the cheesy bacon egg keto muffins, gather the ingredients: eggs, melted butter, bacon crumbles, havarti cheese, chopped chives, garlic powder, ricotta cheese, and salt and pepper. Preheat the oven to 350. 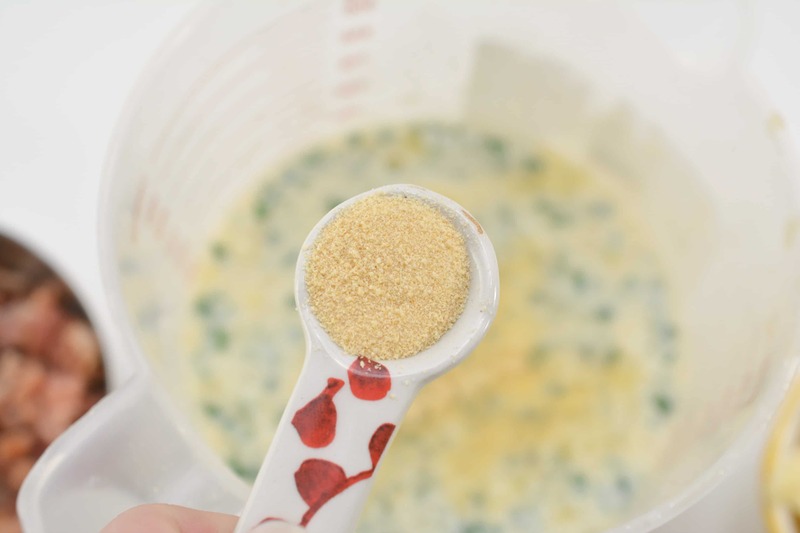 In a small bowl, or large measuring cup, whisk the eggs. Then add in the ricotta cheese. Whisk until well combined. Next add chives to the mixture. I recommend using fresh chives, rather than dried chives. Fresh herbs always pack a punch and gives a brighter flavor. If using dried chives, cut down a on the amount (about 2 teaspoons of dried herbs versus 2 tablespoons of fresh). Now add in the garlic powder and salt and pepper. Give everything a good mix. 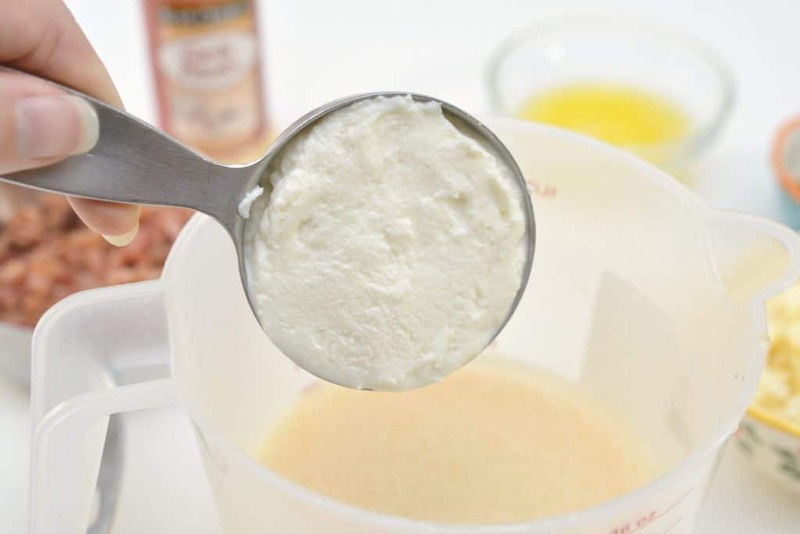 If you would like to prep these keto muffins ahead of time, you can put a lid on this mixture and save it until cooking day. Next add the crumbled bacon to the bottom of each greased muffin cup. There should be enough for 6 keto muffins. Pour the egg mixture into the muffin cups, only filling about 3/4 of the way full. Now it is time to add the cheesy goodness! If you have never had Havarti cheese, it is a semi-soft mild cheese which originally came from Denmark. Some people compare the taste of Havarti cheese to Monterrey jack, but the longer it ages, it takes on a sharper, nuttier flavor. This cheese is what makes these keto muffins. Bake the keto muffins for 15-20 minutes, or until they have risen and are set in the middle. 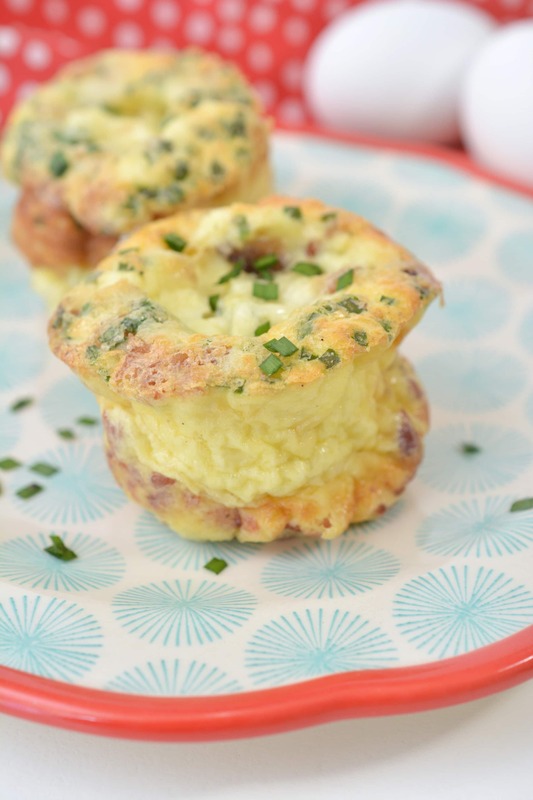 These cheesy bacon egg keto muffins are full of flavor and make a great portable breakfast for those busy mornings. Check out our dinner meal plans for more easy, tasty recipes that will help make your busy evenings less stressful. Whisk ⅓ c. Ricotta cheese into the 6 beaten eggs until it is well combined. 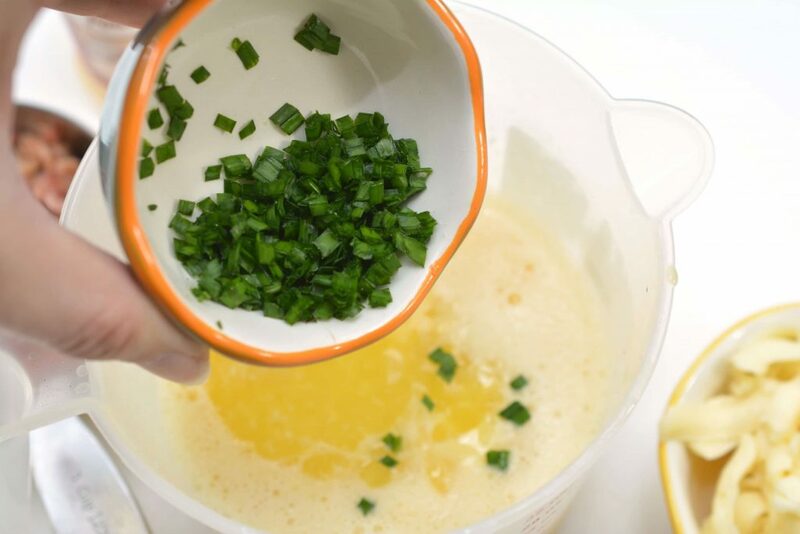 Add melted butter and 2 tablespoons of fresh chopped chives to the egg mixture. 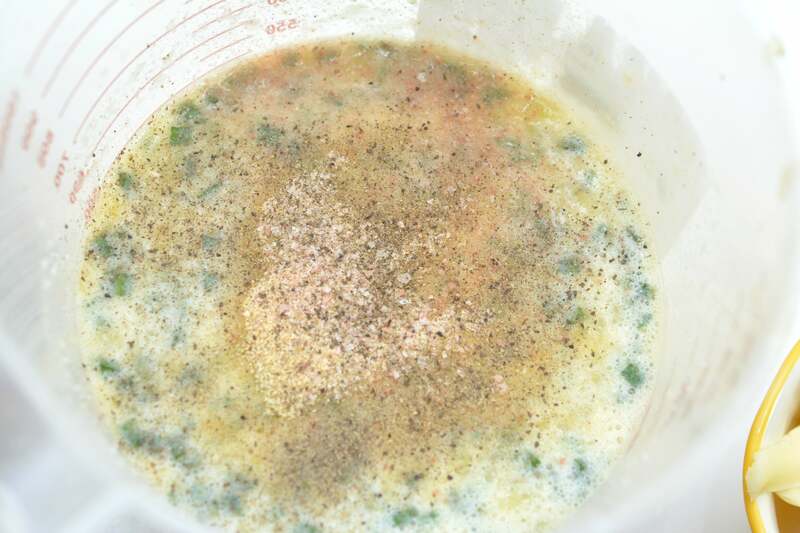 Mix in ½ teaspoon of garlic powder and salt and pepper to taste. 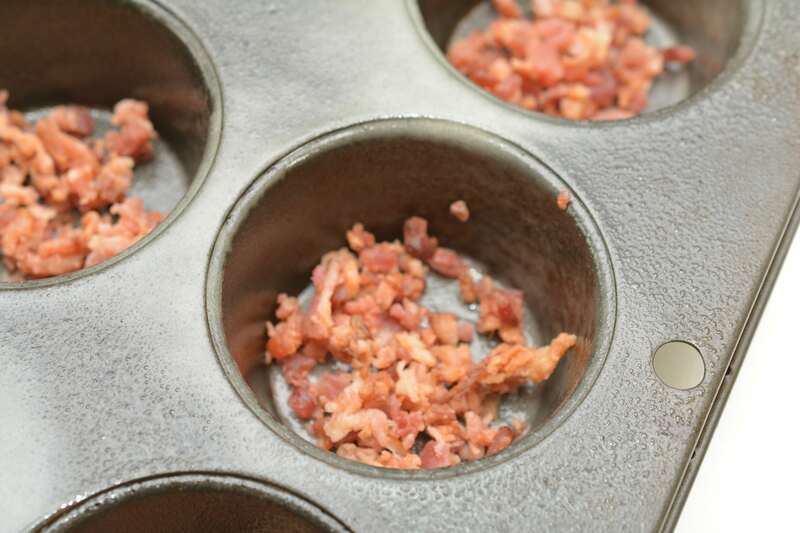 Sprinkle about a tablespoon of crumbled bacon pieces into the bottom of each of six well greased cupcake moulds. Pour the egg mixture into each of the six cups. Only fill them about ¾ of the way full. 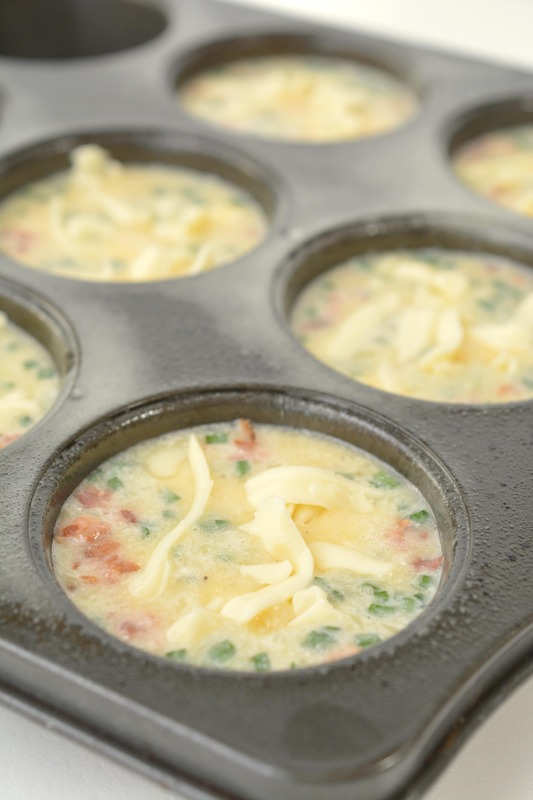 Place a pinch of the cheese evenly into each of the six cups on top of the egg mixture. Bake the keto muffins for 15-20 minutes until they have risen and are completely cooked in the center. These will rise quite a bit, but will deflate once you remove them from the oven and they begin to cool. Serve warm with fresh chopped chives as garnish.